25 Years Marine Pool - Spirit of the Ocean. Joy for sailing converting your hobby into your work formed the basis for the creation of Marinepool in 1991. 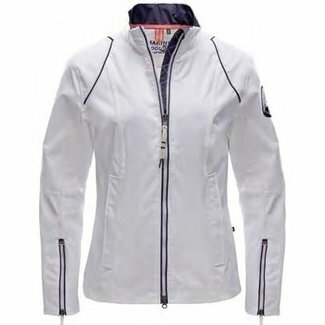 Marinepool was transformed into a success story and manufactures sailing clothes for the pleasure sailor to the racing sailor or round the world sailor. At Marinepool you can find everything for your sailing sport. Sail 360 sells Marinepool sailing clothes inspired by retro-elements and shapes. Nautical inspired classical elements and materials with modern details like contrast piping in neon colors are an example. The Summer Sailing class offers a variety of new forms and silhouettes, perfectly combined with the style of your own look for a casual Friday. 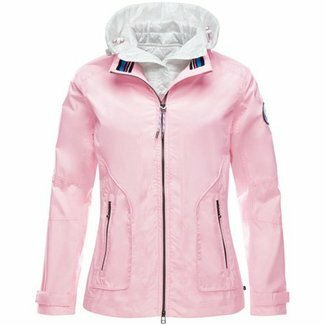 Marinepool Cara Jacket High breathable and taped jacket with..
MARINEPOOL Elise Ladies jacket Body fitted 2-layer waterproo..